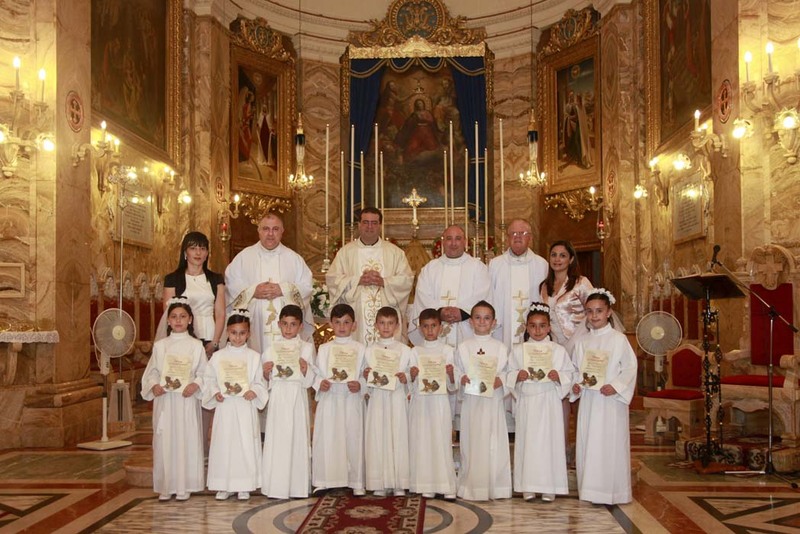 Nine children, four boys and five girls, received their First Holy Communion on Sunday the 9th of June as the Church was celebrating the Solemnity of the Body and Blood of Christ. 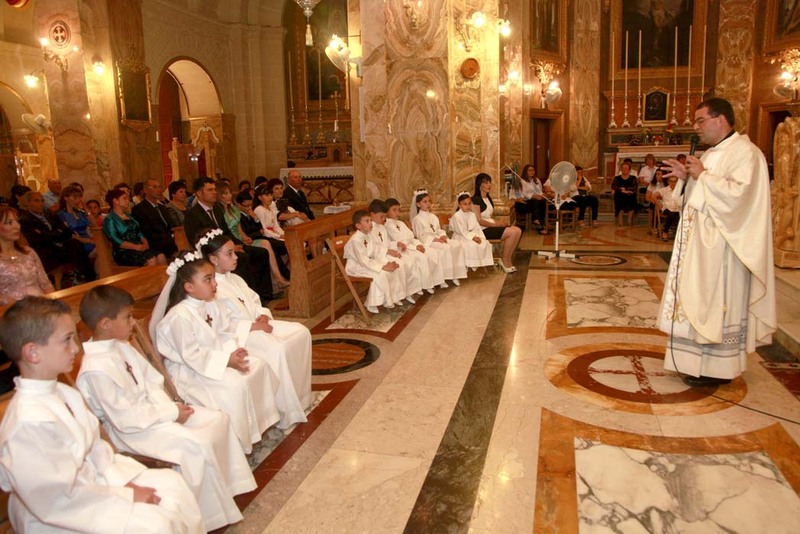 The Mass began at 4.00 pm during which the Archpriest Canon Reuben Micallef preached about the devotion for Christ in the Eucharist; among other things he referred to his own experience when the priest who administered to him his First Holy Communion spoke about it as if it where ‘the first, the last and only Communion’ ever to take place. The procession with the Blessed Sacrament took place soon after. The function ended with the Benediction of the Blessed Sacrament.